Are you searching to solve you weak signal problem? Then your search is over! 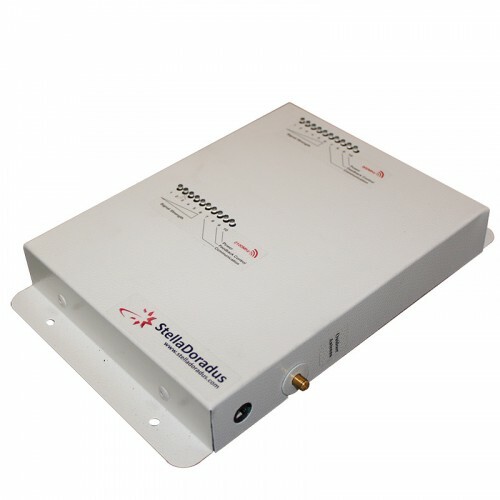 The SD-RP1002-LG signal repeater kit will both improve your GSM and 4G/LTE signal in no time. This kit is the perfect solution to boost 800MHz 4G/LTE signal and GSM Voice signal both at the same time. One can use his/her cellphone from a network while another user is surfing the web on his/her cell phone on another network. But do take note, this model only supports 4G/LTE at 800MHz frequency band 800MHz (Band 20). The SD-RP1002-LG is designed and manufactured by a Waterford company called StellaDoradus. 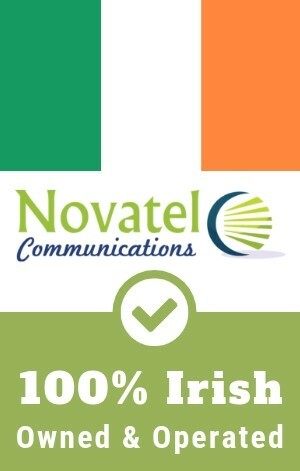 They are one of the leading manufacturers of legal mobile phone signal boosters in Europe and the only in Ireland. All StellaDoradus products are fully compliant to European R.E.D regulations and passed all E.S.T.I tests, making it safe and legal to use. In Ireland - ComReg has set technical conditions that Mobile Phone Repeaters must comply with to be permitted. SD has complied to all technical conditions, thus, all products of SD are permitted and legal not only here in Ireland but also in UK and European countries. The technical conditions aim to provide consumers with better indoor coverage while protecting Mobile Network Operators from unwanted interference. Devices that do not meet the technical conditions will remain illegal under the Wireless Telegraphy Act 1926 to 2009. So beware, that most of the cheap Chinese-made boosters kits sold online do not meet ComReg's conditions and do not comply with European R.E.D regulations. You will be penalized when caught using such devices. The SD-RP1002-LG is ideal for providing strong GSM & 4G/LTE signal coverage in your home or small office. As long as there is signal outside your house/office, this device can amplify it and re-transmit the signal throughout your house or any targetted area. It can cover around 4 rooms. 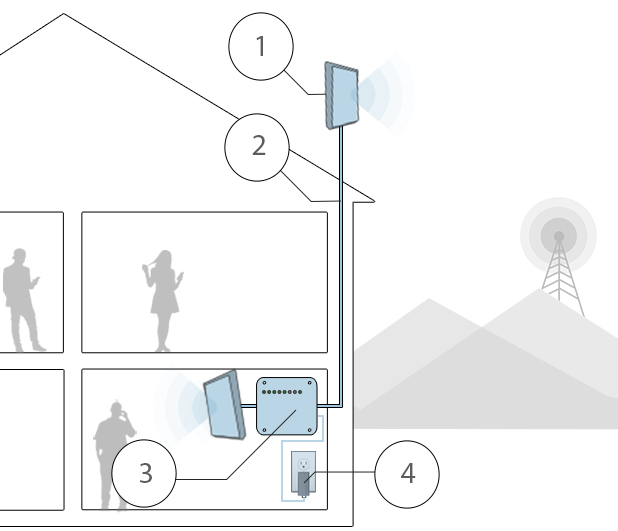 For the repeater to work you must have at least 1 signal bar outside your house on your phone. 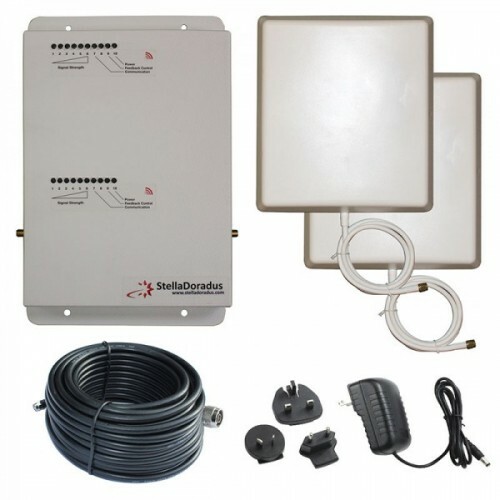 Weak signal outside your home/office is received by the outdoor antenna, and takes in the signal through a cable connected to the booster device. The device will amplify the received signal and do some filtration and interference control magic. Interference control is some sort of technology that prevents signal noise in a network, so as not to disturb neighboring network on the same spectrum. For example, Vodafone and Three are both transmitting in your area at 800MHz, interference control comes into action to prevent any inteferences with 3's network, when you use Vodafone's network in your phone. The boosted signal will be re-transmitted to your target area using the supplied indoor panel antenna. Depending on your needs and applications, the indoor transmitter antenna can also be an omni-directional antenna that can be mounted to a ceiling. To install the SD-RP1002-LG repeater kit, follow the simple steps below. Note: The unit used in the video demo is not the actual SD-RP1002-LG model. Run the cable down inside your house to the booster device and connect it. A 12 meter cable length should be the maximum for optimal performance. Attach the outdoor antenna cable the indoor panel antenna to the repeater. Before buying, make sure and take note of the signal frequency you are receiving in your area. GSM uses 900MHz frequency band, but some mobile network provider transmits their signal at 900 or 1800 MHz or both. So make sure you have taken note of the details. For the 4G/LTE part, this model only works at 800MHz frequency (Band 20). So you need to know what LTE frequency your network is throwing you in your area. Still not sure what booster to buy? Don't fret, you can contact us and we'll install a booster kit for you. We're not just a seller, we're also StellaDoradus' official signal booster installer in Ireland. To buy the SD-RP1002-LG dual-band mobile phone signal booster, you can call us to order using this number +353 22 23440 or use the "Add to Cart" button on this page and go through the secured checkout process.